Young Tex Engineering was commenced in the year 2005. The ownership type of the company is Sole Proprietorship. We have situated our headquarter in Tamil Nadu, India. 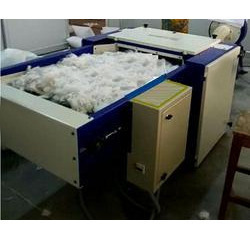 We are instrumental in manufacturing a wide range of machines such as Pillow Packing Machine, Pillow Pressing Machine, Fiber Opening Machine and many more. Offered machines are highly appreciated by the clients for their quality, excellent performance, optimum service life and many more. We make sure that these mashies are delivered within a promised time frame to the clients.